For years, the rumor has been that Taco Bell uses the cheapest grade of beef available in its tacos. For as long as I can remember, Taco Bells have been said to sell the cheapest beef fit for human consumption, and those rumors have not gone away. As it turns out, there might be some truth to the rumors. A California woman named Amanda Obney has filed a class-action lawsuit against Taco Bell, saying that the company’s claims of using seasoned ground beef in its products is false advertising. She claims Taco Bell’s meat has too much filler to be considered beef and she wants the company to be more honest in its advertising. The lawsuit was filed by Montgomery, Alabama-based lawyer Dee Miles in federal court in California. According analysis conducted by Miles and his law firm, Taco Bell’s meat mixture was only 35 percent ground beef. The rest of the beef-flavored slurry was water, wheat oats, soy lecithin, maltodrextrin, anti-dusting agent, and modified corn starch. 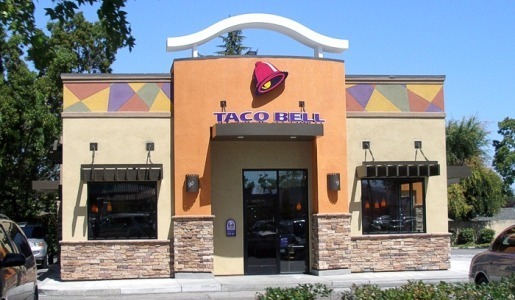 A spokesman from Irvine, California-based Taco Bell denied the reports.